We specialize in Flow-Meters Z Series that are utilized in several industries for measurement purposes. We offer a series of digital and versatile indicators that are micro-controller based. Different options as Alarm relay outputs, Retransmission of signal, set point etc. are also available. We are counted as the reputed manufacturer and supplier of a vast range of Flow-Meters Z Series. 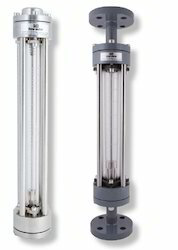 Looking for Flow-Meters Z Series ?